It only takes reading the first line of Casumo’s ‘about me’ page to realise that fun is at the heart of their business model. The site was created in 2012, ‘when a parallel universe contacted us telling us that they were in desperate need of help’ (Casumo’s words, not ours!) 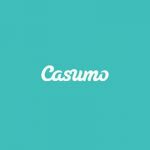 Casumo is an online gaming site designed to make people smile. Casumo offers an impressive range of 850 games, the vast majority of these being created by NetEnt, a well-renowned game development company known for their fair-play ethos. The graphics and theming of the game are of high quality, leading to immersive and fun play experiences. The majority of the games featured are slot-based, but there are also branded games such as Jurassic Park and Gun n’ Roses, as well as traditional card games. 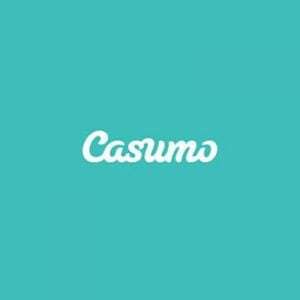 Casumo also stands out from the crowd in terms of their website’s theming and image. Where most online casinos opt for dark, mature colour schemes, or classy, grand opulence reminiscent of Las Vegas casinos, Casumo opts for a bright, friendly and, most importantly, easy to navigate website. Customer service is available on both the website and the mobile app, and, bar the phone service, which can be hit or miss, is reliable and easy to access. Unlike many other online casinos, Casumos’ support service is also multilingual, allowing you to receive the advice you need in the language that is most accessible to you. Only requiring a minimum deposit of $/€10, Casumo puts the fun back into casinos with their quirky theming, creative games, and friendly interface. Casumo offers a tantalisingly high welcome offer. You’ll receive 20 free starburst spins just for joining up before you even make your first deposit. Casumo will then 100% match your following deposit up to the value of $/€300, meaning new customers can truly explore the site and trial many of its games between their first and following deposits. Of course, as with any offer it is within the companies’ right to stipulate their own terms and conditions in regards to redeeming this offer, so it’s always best to check the terms and conditions. Casumos website states that it runs various different promotions weekly. However, viewing the Casumo website without an active login means you are unable to see what these currently are. Information on previous events and promotions regarding Casumo seem to be scarce, but there does seem to a regular ‘mini-event’ of sorts happening on Casumo called ‘Reel Races’. Reel Races runs every 30 minutes 24/7, with $1,000 in cash as well as other prizes to be won each day. Players simply have to use their Reel Race spins to try to earn the biggest jackpots within the allotted time, with the highest spinner winning the prize. It seems this type of frantic fun gameplay is a common feature of the types of promotions Casumo offer, and is ideal for those just wanting to relax and have a laugh. Casumo’s loyalty system is very reminiscent of a video game. Players can receive bonus’ and rewards when they level up, but other times players can simply discover free spins awaiting them in their inbox when they log in. As of yet, however, Casumo does not offer any type of VIP casino service and given their fun and free USP, it is unlikely this will change in the near future. Casumo has a 30 times wagering requirement which must be completed before players can redeem any warnings from their welcome bonus. While this may seem a high ratio, it is actually fairly lower than some of the other well known online Casinos. Casumo offers a wide range of methods in which to deposit money to play, however, it is important to note that this does not include Paypal. Players can instead opt for; Visa and Maestro credit cards, Visa Debit, Switch and Solo, Neteller, Paysafecard, PugglePay, Bank Transfer and Skrill. Unlike some of the larger casino sites, Casumo does not charge you for your deposit. The time it takes for you to receive your payments depends on the withdrawal method of choice. Traditional bank or card transfers can typically take around 1-3 days, whereas methods such as Skrill and Neteller are pretty much instantaneous. One of the biggest draws that Casumo has, however, that certainly sets it apart from its rivals, is that there is no limit to the number of winnings you can withdraw, and no withdrawal fee. So, if you do happen to be a lucky big winner, you can claim the complete amount of your funds more or less straight away! For most of the deposit options given, there is a set $/€10 minimum. However, Paysave users have no limit to the amount they can deposit, and the minimum for Skrill users is only $/€5. Casumo also has no maximum deposit limit, making it the perfect choice for high rollers. Unlike many online casinos, Casumo checks your proof of identity when you authenticate your account, instead of at your first withdrawal. The requirements are the same, as other sites, however, and you’ll need to be able to provide acceptable forms of the documentation below to play Casumos games. Credit card: A photo of the back and front of your credit card is required. When photographing the digits on your card, make sure that only the first six and last four numbers are visible. If you intend to use an e-wallet, you’ll need to verify you are the owner of the e-wallet in question. To do this, log in to your provider and send Casumo a print screen of your account login page. You will lastly be required to show proof of your address. Accepted forms of proof of address include bills, bank statements, or official letters or documents from a governing body. Your name, home address, and issue date should be clearly visible, and only documents received within the last 3 months are accepted. Currently, Casumo offers an impressive 850+ games, which are well known for being innovative and seamlessly programmed. Slots comprise 785 of Casumo’s resume of games, and the site offers both classic renditions, as well as games with their own little twist. Casumo also offered slot games with licensed themes, such as Guns n’ Roses and Jurassic Park. Players who look for table games will not be disappointed either, with a total of 15 roulette tables with fun variations such as monopoly, 19 blackjack games, again with a variety of twists and themes, 9 video poker games, and 25 more games such as Stud Poker, Punto Banco, Red Dog, baccarat, and the ever popular Texas Hold’em. All of Casumos’ live dealer games are powered by either NetEnt or Evolution gaming, which all but guarantees a reliable live feed. Games available to play with a live dealer include Dream Catcher, Roulette, Blackjack, Baccarat, Texas Hold’em and many more. Casumos’ casino app is one of the most impressive around. Built using HTML 5, it works perfectly on any smartphone. It also has a great interface, with swiping, scrolling and search options, which make navigating the app a breeze. The best of Casumos’ offerings are available to play, including both slots and table games. Casumo uses top of the line 128-bit SSL encryption to protect your private information. The online casino is also totally transparent with the fairness of their games, and they are certified by both eCOGRE and TST labs. This means that all their games have been tested to ensure they adhere to the strictest of fair-play rulings. Casumo is licensed by both the highly respected Malta Gaming Authority and the UK Gambling Commission. The casino is registered under ‘Casumo Services LTD’ (Registration number: 39265) and its base of operations is registered to; Unicorn Centre, SWQ 2335. Casumo doesn’t offer phone support but does have a fully functioning multi-lingual live chat which is in operation 24/7. There is also a highly informative FAQ section of the website. While outwardly Casumo displays itself as the place for not taking life too seriously and having fun, in terms of the protection of your data and the fairness of your gameplay, the casino could not be more serious. With high-level encryption and fully regulated games, Casumo is the ideal place to relieve some tension after a busy and stressful work week. The games are unique and innovative and are well programmed meaning all you have to focus on is top jackpots. Best of all, as long as you have met the play-through requirements, there is no limit as to how much of your winnings you can withdraw. Overall, if you’re bored of the stuffy formality of traditional online casinos, and are looking for something fun and lighthearted then Casumo is definitely the place for you. With Casumo you are able to enjoy the thrill of a spin or flutter on the cards, in an environment which is bright and refreshing.